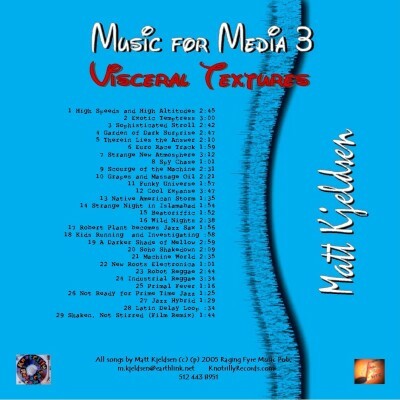 Visceral Textures (2006) is a lush expanse of melody and rhythm. It continues the themes of the emerging world and the forgotten worlds from Other World Grooves, but then goes on to create a unique feel. The songs are of the earth and yet scented with western art.